Kasmira Mohanty's artwork is being installed in several Suffolk locations. “Miz Mo,” as she is widely known, feels much more comfortable discussing her students’ accomplishments, successes and artistic careers. And why not? Her students over the past 18 years have racked up enough awards, admiration and accolades to fill her art room at Huntington High School ten times over. Huntington High School art teacher and practicing artist Kasmira Mohanty. So what does the veteran educator do when she’s not helping her students reach their full creative potential? In 2018 alone, Ms. Mohanty exhibited in over nine highly regarded exhibitions. 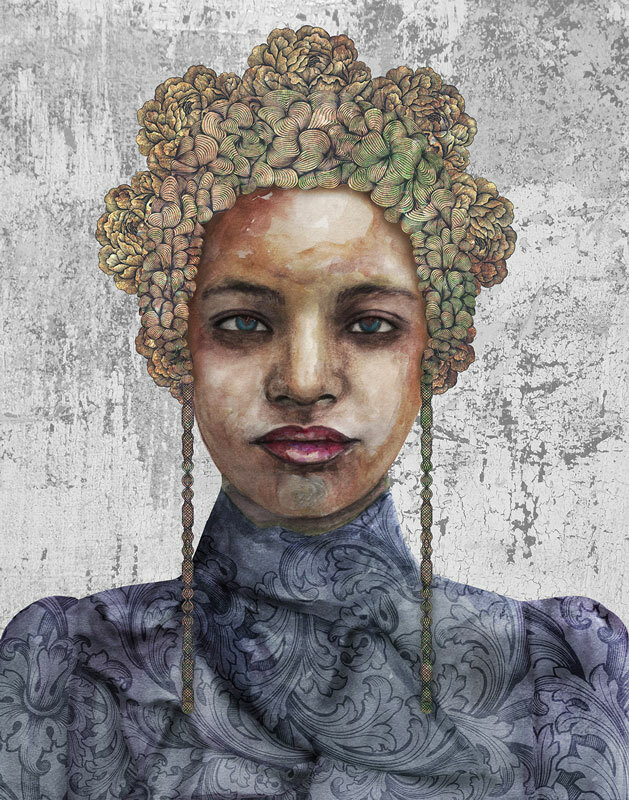 Some of the more noteworthy showings were held at the Decumanus Gallery in Croatia, where she was one of two Americans selected from among 800 international entries to be exhibited; the Heckscher Museum of Art, Provincetown Art Museum and the Los Angeles Center for Digital Art. Ms. Mohanty’s work also graced the cover Dan’s Papers in connection with an article about her art. 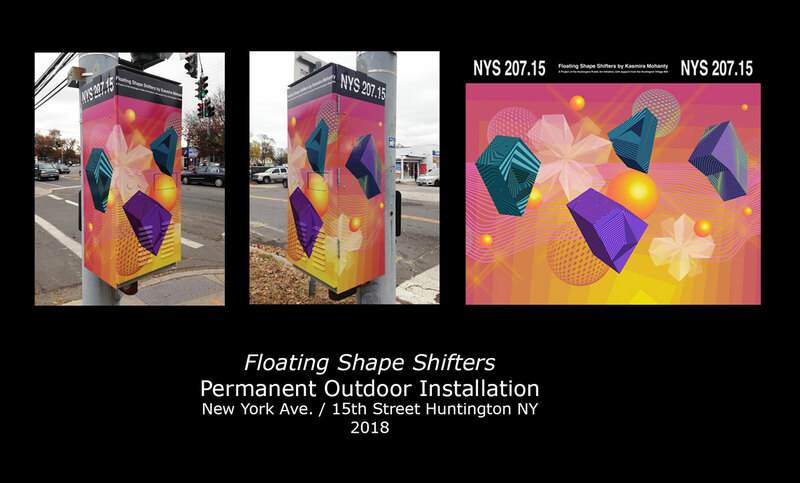 The proverbial “cherry on top” in 2018 was the installation of her artwork on not one, but two traffic signal boxes as part of the Huntington village signal box arts beautification project. She is particularly proud of that milestone since the installations are in a place she holds close to her heart. One of the boxes near Huntington High School seems most fitting, since it features former students, two of which she still communicates with. The prized teacher is displaying no signs of slowing down in 2019. 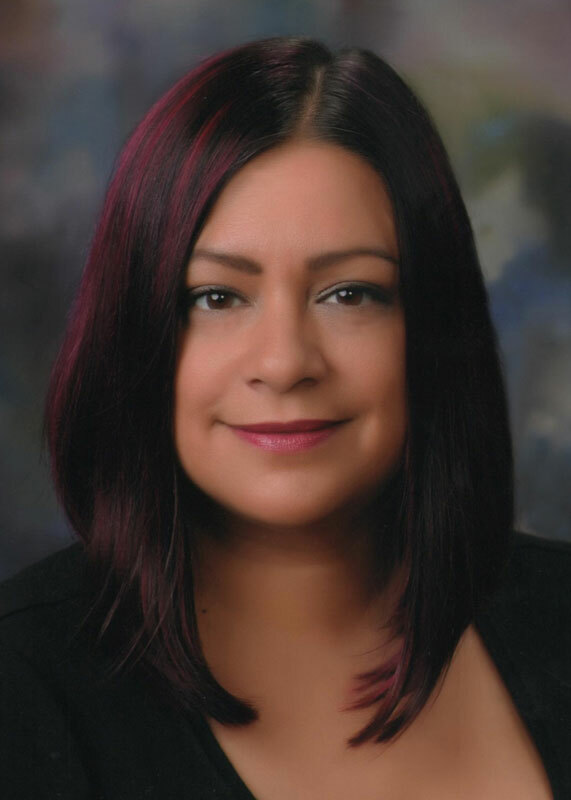 The month of March featured a whirlwind of activity for Ms. Mohanty. She started by being accepted to exhibit at the widely attended Clio International Art Fair in New York City. The publication of three articles written for separate editions of School Arts Magazine led to Ms. Mohanty’s involvement in the project. Her former student, Shaye O’Beirne’s artwork was selected for the cover of one such issue that was distributed to almost 6,000 attendees at the NAEA conference. She is now being considered as the author of her own solo book project as a result of the overwhelmingly positive feedback she received for her contribution to the collective Media Arts book. Another of Ms. Mohanty’s permanent public art installations, along with work from three other artists, will go up soon along the Roe Walkway in Patchogue. The Huntington Art Council held a reception last week at the Petite Gallery for its new exhibition titled Bright Colors Bold Strokes: Creations of Low Brow Art, in which Ms. Mohanty is participating. The show will run through May 4. Late last week, Ms. Mohanty was one of a handful of artists who spoke about their artwork and their creative process at Haven Art Gallery in Northport. To see Ms. Mohanty’s personal artwork you can visit her website at www.kasmiramohanty.com. 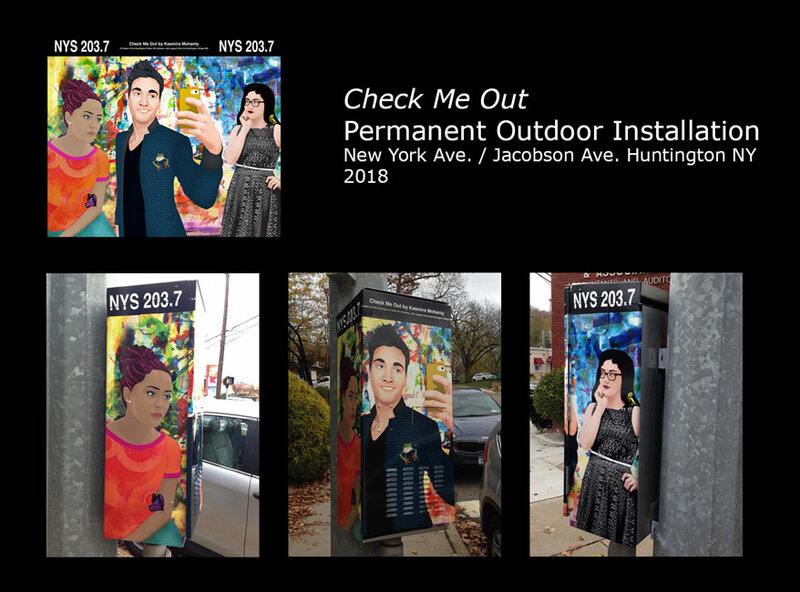 A public art installation featuring Kasmira Mohanty's artwork in Huntington. 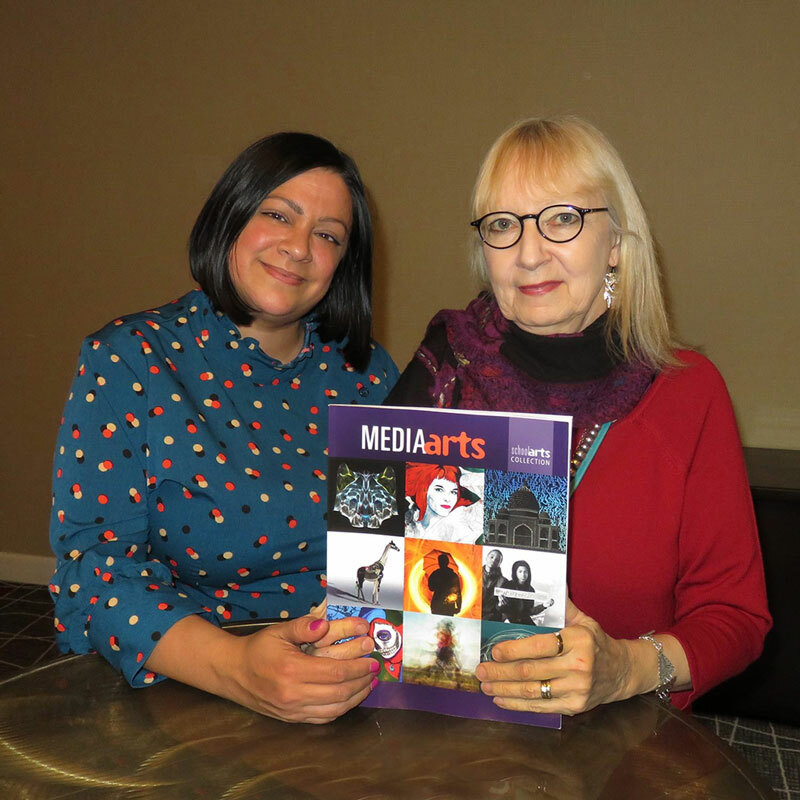 Kasmira Mohanty with Media Arts book editor in chief Nancy Walkup. 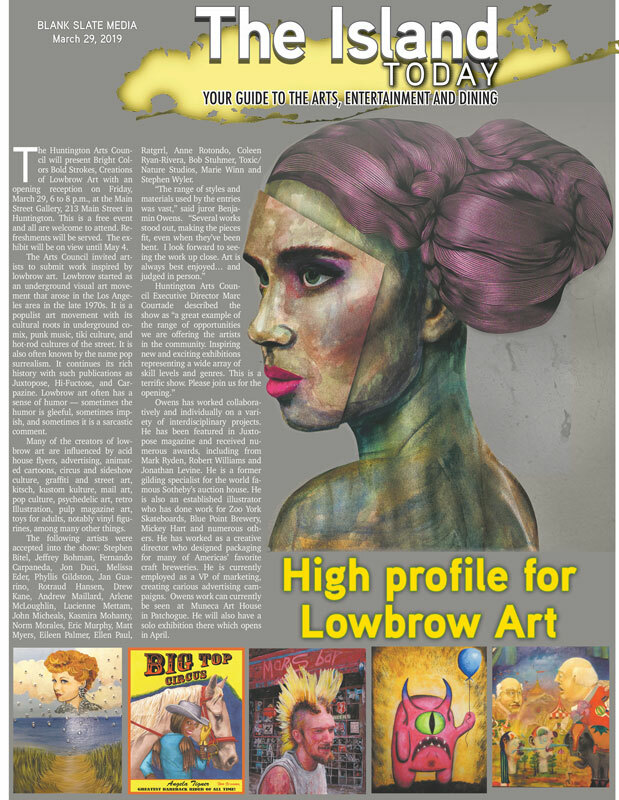 Kasmira Mohanty's artwork is gracing the cover of The Island Today. Aniyah is one of Kasmira Mohanty's artwork pieces.